Transition metal oxides offer properties beyond conventional semiconductors, but to bridge the gap between fundamental research and commercial devices requires wafer-scale growth of highquality thin films. 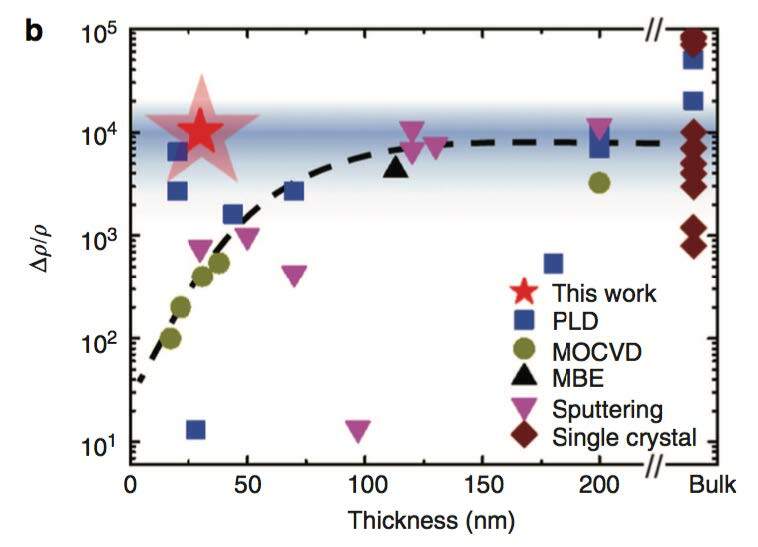 A novel combinatorial growth process developed by Penn State has produced the first wafer-sized thin films of near-stoichiometric vanadium dioxide VO2. When the V:O ratio is exactly right, the material shows a four order-of-magnitude change in resistance across the wafer, enough to enhance state-of-the-art transistors and benefit non-volatile memory technology. “Electronic grade” transition metal oxide films on a large scale can now be extended to other multivalent oxide systems.